Very often it happens so that people can’t properly differentiate between things and that makes them end up not in the place they wanted. For example, you fall for a really nice guy, and everything seems to be just perfect, but then after a while, you realize that he does not love you for real. Do not worry – you are not the only one. The thing is that it is very easy to settle for someone without actually realizing it. It can happen to anyone, but it is always better to be prepared so that you do not end up hurting because someone breaks your heart. We have rounded up few signs that may notify you that your partner is not really in love with you – but just settled. Once you spot them – you better end it right there and right now! It is obvious that when you introduce your boyfriend – you stated who he is to you but when your boyfriend refers to you as to a friend or a colleague in front of others that is a clear sign that he is not that into you. When we are in love, we simply adore all those little quirks that our second halves have. 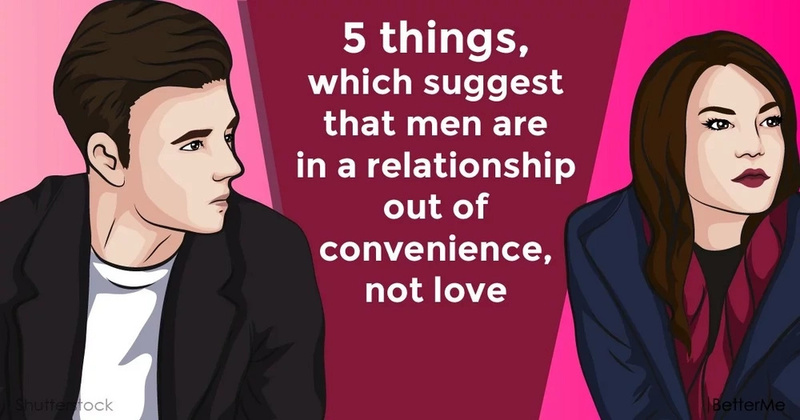 But if your partner is constantly annoyed with your, then something is not right, and the chances are high that it will never be. If you notice that your partner thinks that there are other women who would never even pay attention to him, they are out of his league so to speak – where does it leave you? The thing is that once we end up with someone, we love we want to show off and introduce the second half to our family and friends. If you are a top secret and he does not want to introduce you to the closest to him people – you should better think whether you are that close to him or? When it comes to a relationship, there are only two people entitled to suggest opinions on it. But if your partner is constantly seeking for what other people may say – that should alarm you!